This mini basketball is the perfect gift for the sports lover. 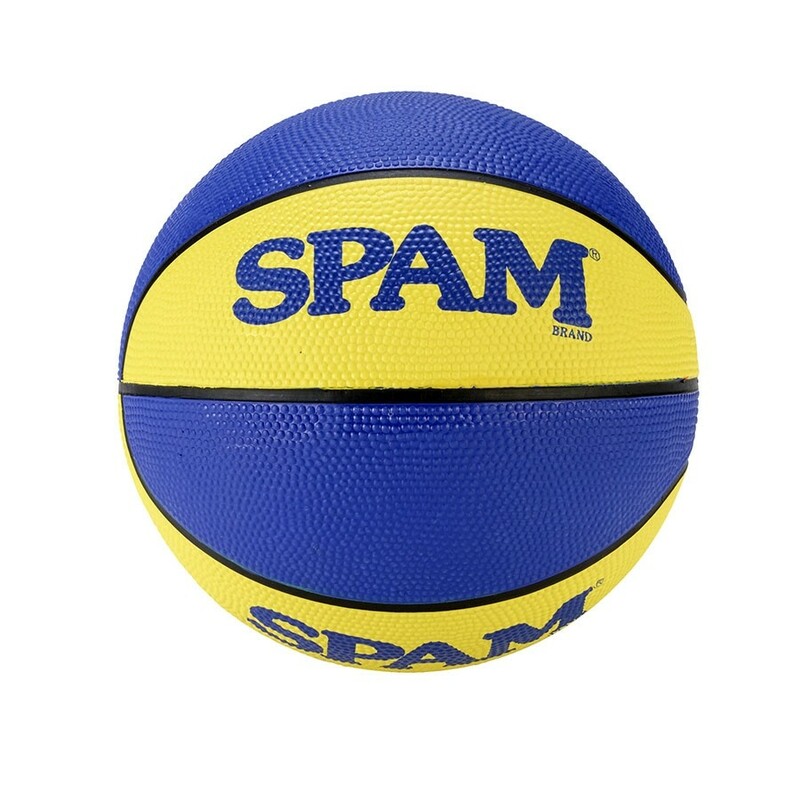 Alternating blue and yellow panels with SPAM® Brand imprint. Ships deflated.